The NTT IndyCar Series kicked off with a rousing race on Sunday. 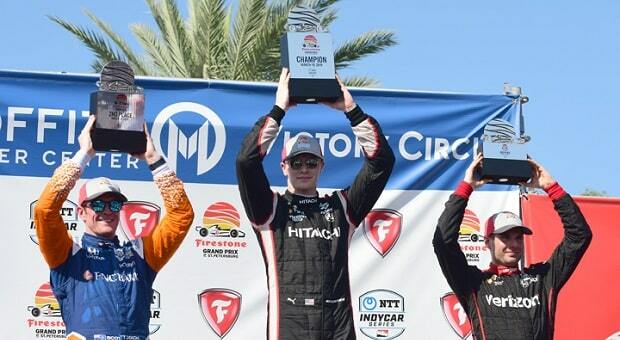 The Firestone Grand Prix of St. Petersburg was held under mostly sunny, warm and muggy Florida skies on the 1.8-mile, 14-corner street and airport course and had a familiar end, with Team Penske’s Josef Newgarden earning the victory. Since Indy cars began racing on the waterfront circuit in 2003, the team has claimed nine victories. 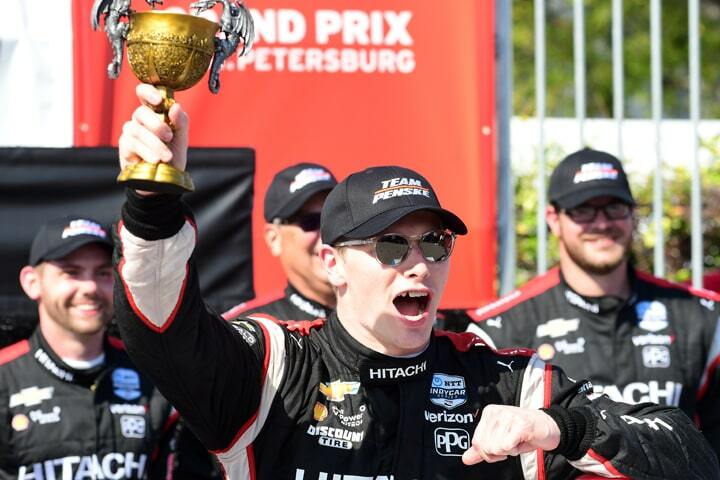 Hello Castroneves took three, while Will Power and Juan Pablo Montoya each secured two victories; Ryan Briscoe and now Newgarden have collected single trophies driving with Team Penske. Will Power, who finished third after battling teammate Newgarden and second-place Scott Dixon (reigning champion at Chip Ganassi Racing) over the 110 laps, has taken pole position for this race eight times, including this year. This was a fairly clean race, with no mishaps at the usually-hectic first turn. There were only two cautions; a single instance of contact caused the second one. One aspect of the contest was a lack of reliability from 2018 series manufacturer champ Honda Performance Development (HPD), which lost two engines in the race. The first three-lap caution flew on the 20th lap when Andretti Autosport’s Ryan Hunter-Reay’s Honda engine exploded in a plume of smoke on the front straight. Sebastien Bourdais, winner here for the past two years, had already parked his Dale Coyne Racing with Vasser-Sullivan Honda-powered Dallara by the 12th lap with a terminal engine problem. The sole contact occurred between second-year driver Matheus Leist of A.J. Foyt Racing, who smacked the turn nine wall on exit, collecting Ed Carpenter Racing’s Ed Jones on the 25th lap. The race would go green on the 34th lap and stay that way through to the final go-round, when Newgarden earned a near-three-second margin of victory over Dixon. The Tennessean would also set the fastest lap of the race (61.7350-sec) on his 52nd tour. This was a jumbled grid, as qualifying was nullified for the first group of racers in Saturday’s time trials. Some drivers never had the chance to get a lap at speed in qualifying as red flags marred their 10-minute group. The second group had no issues, but among those failing to advance were Bourdais, Marco Andretti, Tony Kanaan, Simon Pagenaud and Takuma Sato. 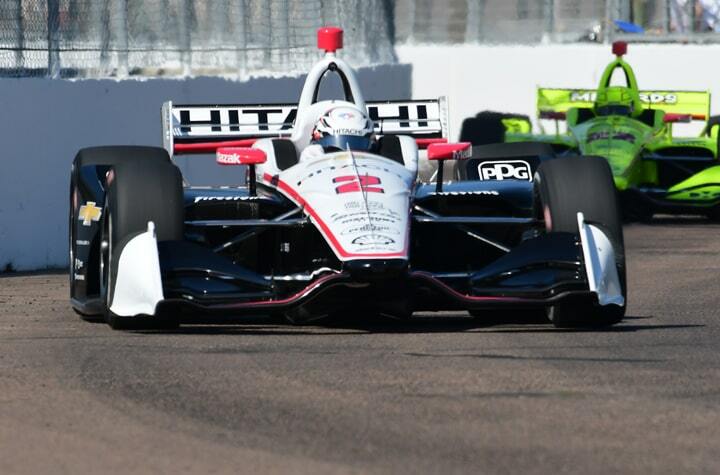 Penske duo Power and Newgarden led the field to green, joined by the Ganassi duo of Felix Rosenqvist and Dixon. One of two Swedish rookies (Marcus Ericsson is the other, with Arrow Schmidt Peterson Motorsports – Arrow SPM), Rosenqvist was first of this rookie class to the checkers, finishing fourth in his first Indy car race. He did have experience on this track, racing Indy Lights in the past. Behind the rookie came Alexander Rossi of Andretti Autosport, James Hinchcliffe with Arrow SPM, Team Penske’s Simon Pagenaud, who was in the first qualifying group and advanced from 13th to seventh after 110 laps, rookie Colton Herta (Harding Steinbrenner Racing) in eighth, rookie Santino Ferrucci (Dale Coyne Racing) in ninth and part-timer Jack Harvey for Meyer Shank Racing, his best NTT IndyCar Series result. There were 11 cars on the lead lap (Spencer Pigot of Ed Carpenter Racing) and, of the 24 starters, 18 would complete the contest, rookie Ben Hanley of DragonSpeed the last car running, two laps down. There were eight lead swaps at the starter’s stand between four drivers. Newgarden led 60 laps, Rosenqvist held the lead for 31 tours, Power led 17 laps and Rossi was at the front for two laps. The 28-year-old Newgarden, who has a new race engineer in Gavin Ward (who used to work in Formula One with Red Bull Racing), used patience – and the tire strategy of team president Tim Cindric – to get his 11th Indy car victory. “We were very patient in the beginning of the race. We had a right-to-left, different tire strategy today and it really paid off. I actually think it’s what helped us create our opportunity,” to take home the win. 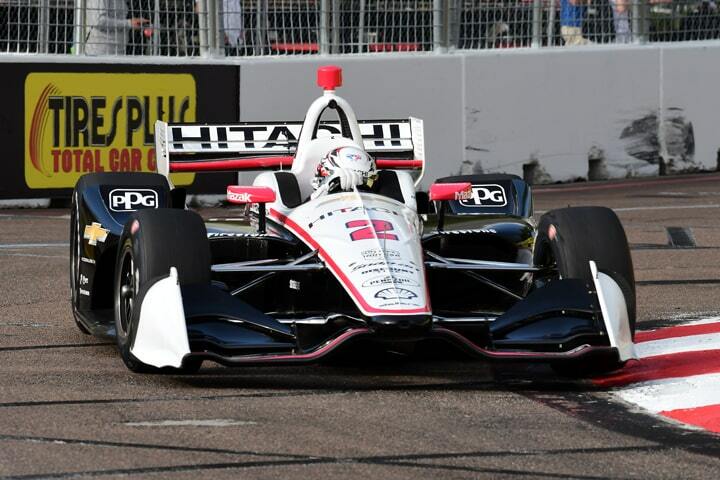 The NTT IndyCar Series season resumes in two weeks at a new venue, Circuit of the Americas, kicking off three races in three weeks at COTA, Barber Motorsports Park and on the streets of Long Beach, Calif.